Author Jeannette Winterson was adopted “out of the wrong crib” at six weeks of age. Mrs. Winterson, her adoptive mother, is deeply religious and given to staying up all night so that she doesn’t have to sleep in the same bed as her husband. Why Be Happy When You Could Be Normal is at times a harrowing memoir of how Winterson’s deeply disturbed adoptive mother branded her as an unwanted cast-away — child abuse that left no visible marks but scarred Winterson for life. After a tumultuous break-up with another woman, Winterson attempts suicide, saved only by one of her cats, clawing her face to wake her after she attempts to kill herself by carbon monoxide poisoning. Winterson constructs a ladder of language of prose and poetry and emerges from her pit of despair mentally exhausted but alive. You can’t help but cheer her on as she fights for her own survival. 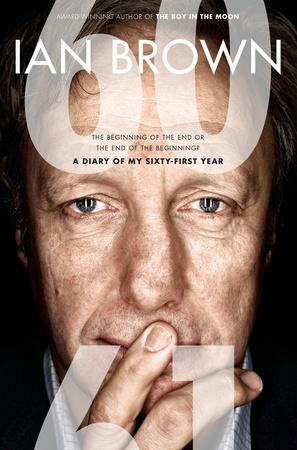 Author and journalist Ian Brown turned 60 and decided to keep a diary of his 61st year. Given that his anxieties, appetites, petty jealousies, and vanity is on display for all, Brown might not necessarily think he was aging with grace, but this book shows the exact opposite. You meet a man who rues his decline, yet still has the presence of mind to embrace experience and the joys of the physical body in swimming, skiing, and cycling — albeit somewhat more cautiously than during the more reckless days of his youth. Laugh-out-loud funny at times, this book was a fun read on not just aging, but growing older — emphasis on growth, that is. It’s optimistic proof that with a strong attitude, there’s lots to look forward to.